We protect what matters most since 1930. Serving the entire State of Rhode Island. Your company has always been there for me. Not just the friendly, courteous, professional service, but the extra help whenever I had questions, needed advice, or asked for some assistance tracking down something, or trying to fix something. I also like that your pets have been there to welcome me and make me feel at home! Apple Valley offers a personal touch to buying insurance. The people at Apple Valley will work with you to find the insurance that fits your needs for both coverage and cost. Apple Valley is always there to assist its policy holders. I have been a client with Apple Valley for 51 years and have never considered leaving. 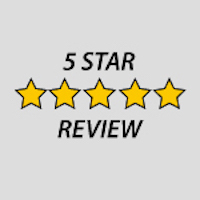 Whether it is Joan, Nancy or David; the service I receive at Apple Valley Insurance is always top notch. I have been insured with them for 35 years. I guess that in itself is a testimonial! My good friend referred me to you and I have been very pleased. Anytime I call I am always treated with very friendly help. I would gladly refer people to you. It has worked for me.